Thank you so much for your comment on my blog! this was my first response to snake print too..but I am changing my mined, especially in shoe case! 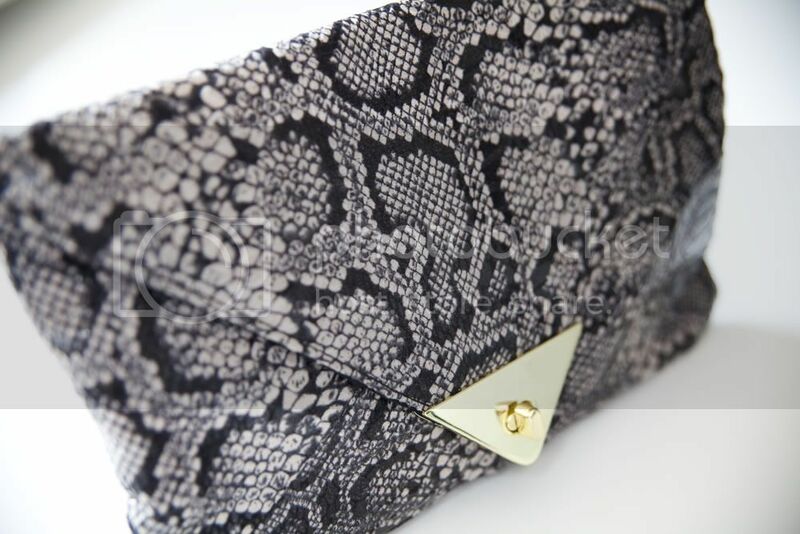 I really dig the snake print trend for accessories. It's lovely. I know it sounds cheap (just as some prints can look), but I absolutely love a bit of animal print... Or reptile in this case. 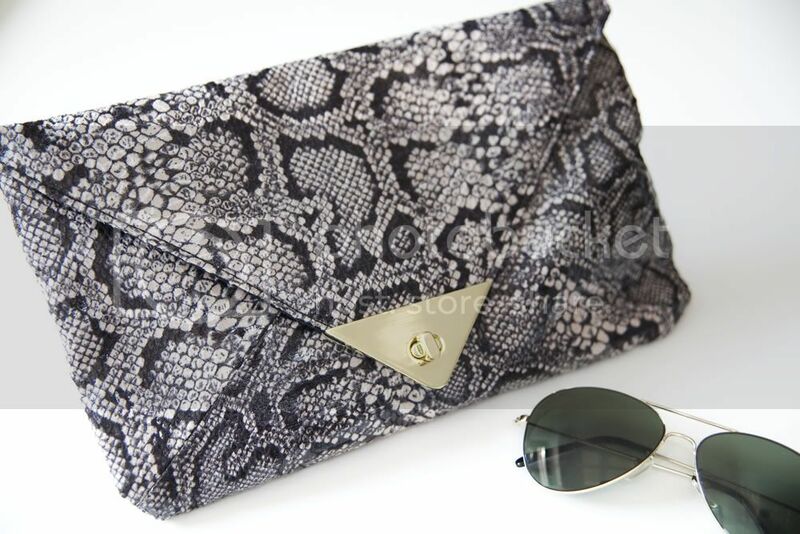 This clutch is lovely and I'll definitely be jumping on the band wagon. I'm tempted by a challenge so I might even go for some snakeskin jeans..... Maybe. meni je pa kr hitro ratu všeč snake print, mi deluje malo retro :) gorđs! Oh I like this, I am also unsure of the trend, but I love it. such a nice bag and new trend of this print is pretty cool! maybe i get something snake printed one day.. The clutch is really cool! Congrats on the Bloggers wardrobe win! yea I'm not usually big on the whole animal print thing.....but this is cute!! good find!